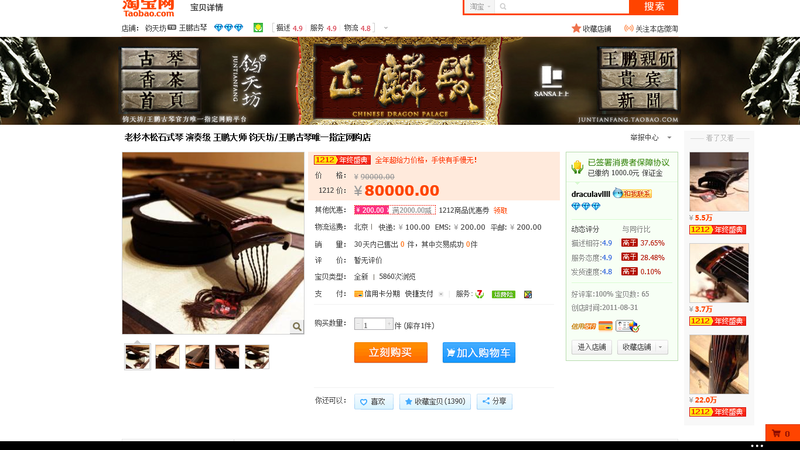 Here's a screenshot of one of the more high end guqin with a RMB10,000 discount. That's equivalent to a SGD$2000 discount. Huge savings!